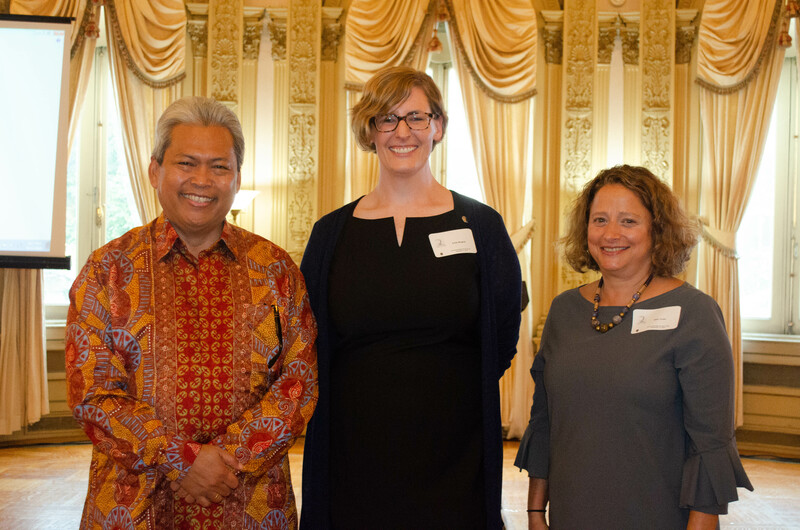 On September 13, the Stimson Center was proud to co-host a reception with the Indonesian Embassy to the United States and the Ocean Conservancy in celebration of International Coastal Cleanup Day and the Our Ocean Conference. In October, the Government of the Republic of Indonesia will host the fifth Our Ocean Conference in Bali, which will showcase commitments from around the world to protect our ocean. Our Ocean, Our Legacy will continue the tradition of mobilizing leaders, entrepreneurs, and visionaries to present innovative solutions to the challenges our ocean faces. Since the conference’s inception, it has garnered over 600 commitments, valued at 18 billion US dollars and have protected over 12.4 million square kilometers of ocean – or an area 7 times as large as Alaska. The Stimson Center’s Environmental Security program has served as an advisor for the Our Ocean Conference 2017 in Malta and this year for the Our Ocean Conference in Bali.